Manchester United will commemorate the Munich Air Disaster 60th anniversary today (6th February) with a special service. 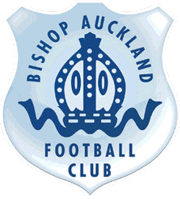 Bishop Auckland Football Club will be represented at the service by Director Terry Jackson. Eight players and three club officials, along with crew members, journalists and two passengers, died in the tragedy in 1958, which claimed 23 lives in total, after a plane carrying the United squad crashed as it took off in snow following a European Cup tie at Red Star Belgrade. A minute’s silence will be held at 3.04pm, marking the time of the crash in 1958. At that time Bishop player Derek Lewin (pictured), who lived in the area, trained with Manchester United and went to the gym where the coffins of the dead were placed to pay his respects. Two players who died Geoff Bent and Roger Byrne were considered his friends. 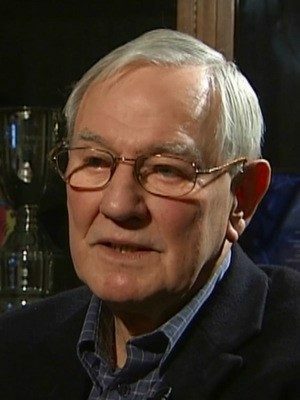 He was asked by Assistant Manager Jimmy Murphy, who was tasked with taking over team affairs due to Matt Busby suffering major injuries in the crash to see if Bishop could send some players down to Manchester to help the Club fulfil its fixtures. Derek got permission from the Club and asked Bobby Hardisty and Warren Bradley to play, alongside himself, when required. All three players were England Amateur Internationals. When Matt Busby returned to work he was particularly impressed with Warren Bradley and signed him in November 1958 on a part-time professional contract. In 1959 England Manager Walter Winterbottom selected him for England and thus he became the first and only player to play for the England professional and amateur teams in the same season. Speaking to The Northern Echo today (6th February), Derek Lewin said: “I will be remembering the people who died and I’ll remember them far more than the games I played. To commemorate the Munich Air Disaster and our involvement in assisting Manchester United, the Club will be unveiling a commemorative clock and plaque before the Ebac Northern League game against Shildon on Saturday 10th February. « FA Youth Cup at HP!